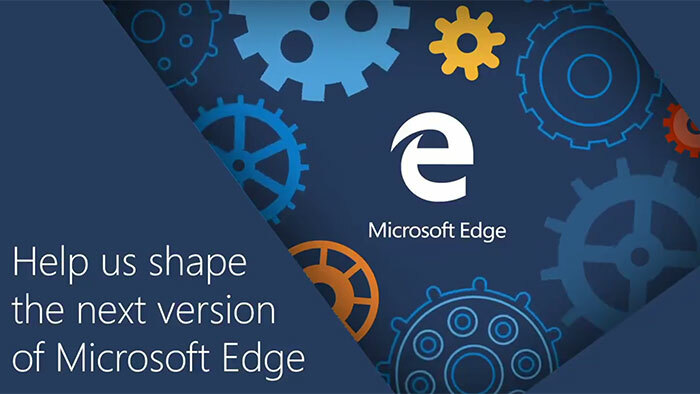 Back in December HEXUS reported upon Microsoft's decision to adopt the open source Chromium code for its Edge browser. Last month we saw a leaked release, showing some good progress. 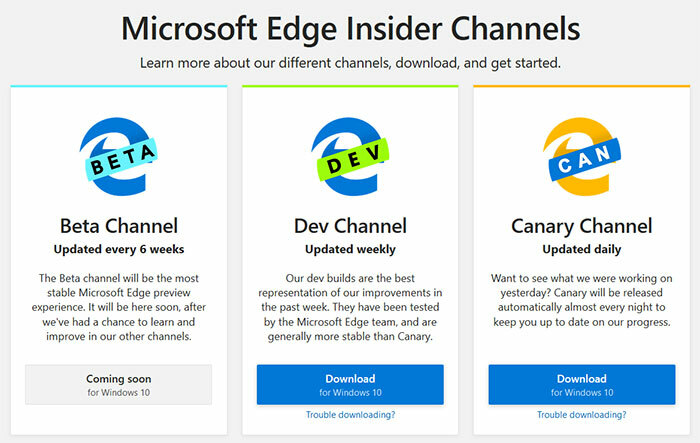 Yesterday evening Microsoft made the first 'Canary and Developer builds' of Edge ready for download for Windows 10 PCs. These preview builds, based upon Chromium, will be updated daily (Canary) and weekly (Developer). In a blog post, CVP of Windows, Joe Belfiore, explained that the first builds end users will officially get to test "are very much focused on the fundamentals." You will not get to test a very wide range of features and different languages (or spell checking) for now. Over time you will start to see the new Edge transform with subtle design finishes, support for a broader selection of (Chrome) extensions, and profile support. Of course, at this stage tester feedback is important. 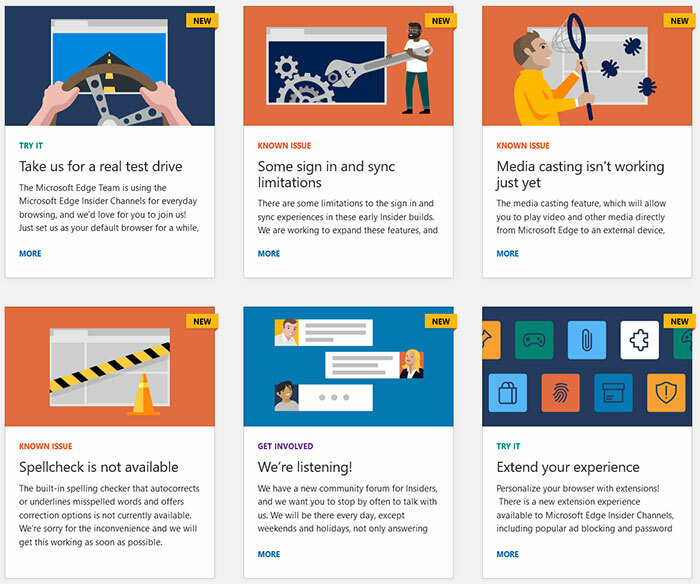 If you want to test out the latest Microsoft Edge based on Chromium preview builds you can head on over to the Microsoft Edge Insider site where you will be offered to sign up for Canary, Developer or Beta channel releases. Currently there is no Beta channel release available, the first Beta is said to be "coming soon" and will be updated much less frequently, only once every six weeks. At the time of writing you are limited to testing out Microsoft Edge based on Chromium preview builds on Windows 10. However, Microsoft promises that more platforms will be supported soon, like older versions of Windows (Windows 7, 8, 8.1) and Mac OS.